One of the most interesting aspects of planting and growing fruit in the home garden is the wide array of available options. While it is true that many common fruits are offered commercially and are easily found at grocery stores, accessibility to rare and hard to find fruits is an exciting endeavor. As orchards expand, fresh fruit harvests offer growers a wide array of choices, as well as a diverse landscape. This is especially true in the case of some tender tropical plants, such as with canistel fruit trees. Canistel (Pouteria campechiana), commonly known as eggfruit, is a tropical fruit tree. Though the size and shape of this fruit can vary greatly from one tree to another, the most favorable trees produce large, sweet yellow fruits with an oval shape. Having been most commonly compared to the texture of a hard-boiled egg (hence the common name), the roundish fruits are popular for their use in dairy recipes and other baked treats. Canistel tree care is relatively straightforward for those wishing to grow this fruit. Thriving in tropical climates, eggfruit trees are widely adaptable to a variety of soils, including those which are sandy. Growers without a frost-free climate are also able to grow canistel. Due to its fast-growing nature, eggfruit trees are ideal candidates for container culture. Growing eggfruit in this manner means protecting trees from frost and cool temperatures. Potted plants should be moved indoors when temperatures are predicted to dip below 40 F. (4 C.). 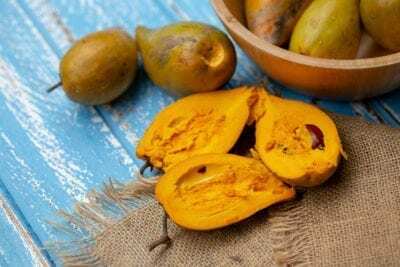 Depending upon where you live, it may be difficult to find canistel trees at local plant nurseries and garden centers. If choosing to order plants online, always make certain to order only from reputable sources as to ensure high quality and disease-free fruit saplings. 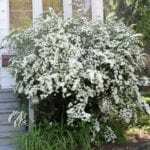 To plant, select a well-draining location that receives direct sunlight. 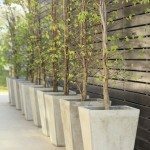 Well-draining soil is essential, as these trees can be prone to root rot. Dig a hole or choose a container that is at least twice as wide and twice as deep as the rootball of the tree. Gently place the tree into the hole and cover with soil. Water thoroughly. Depending upon the age of the planted sapling, trees should begin to bear fruit within one to two years. Read more articles about Canistel Trees.